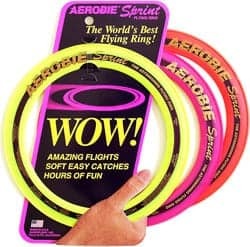 Compact and lightweight, the Aerobie Sprint ring flies twice as far as conventional flying discs for awesome games of catch. 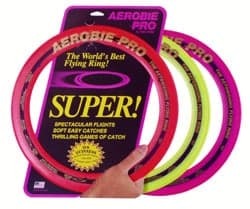 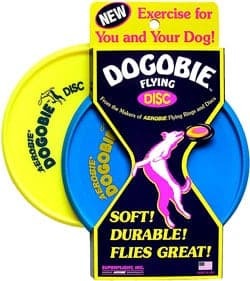 Its smaller size is its only distinction from the otherwise identical Aerobie Pro flying ring, which holds the Guinness World Record for the longest throw. 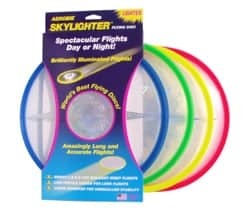 Ideal for those who enjoy the incredible flying performance of Aerobie rings but have a smaller area for play, the Sprint ring is great for backyards, parks, playgrounds, beaches, and camping trips. 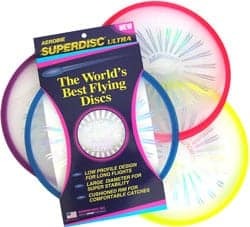 The ring’s soft rubber edge makes it comfortable to catch and fun for throwers of all skill levels.